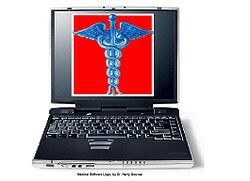 Though a HRSA planning grant, Montana Health Network, Eastern Montana Telemedicine Network, and several healthcare facilities piloted a primary care telemedicine program. It can be used when clinics find themselves short staffed due to provider family emergencies and medical leaves. Through the Montana Health Network, they are able to work with trained nurses and provide patient visits. This not only continues expected service levels but gives the provider some relief when they return. The pilots were very successful and well received by community patients. Since 2002, Montana Health Network has offered mobile MRI services as well as permanently placed MRI's. In addition, CT's are available on temporary and permanent placements. Facilities may request financing to purchase imaging equipment.